Carbon monoxide poisoning can occur even when the amount of carbon monoxide gas in the air is not high enough to trigger a carbon monoxide detector. Believe it or not, this is a much more common problem in homes than people realize. Carbon monoxide detectors cannot be relied upon because most instances where carbon monoxide poisoning occurs, the levels of the gas are not sufficiently high enough to trigger a carbon monoxide alarm. The primary purpose of a carbon monoxide detector is to save lives when high, lethal levels of carbon monoxide gas are present indoors, not to protect your health. Carbon monoxide gas is invisible, but telltale signs of carbon monoxide exposure are often visible. 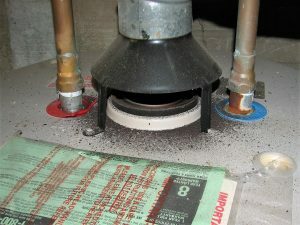 One of the pieces of evidence I often see in homes is when exhaust vent pipe connections for furnaces and water heaters are overlooked during installation and left unglued. I discovered these at the appliances as well as outdoors where the exhaust vent pipes penetrate through exterior walls and rooftops. This allows the pipes to dangerously separate. 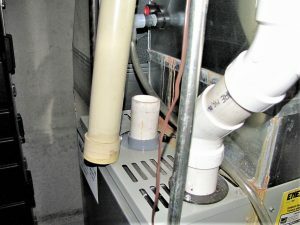 The separated furnace exhaust vent pipes shown in the very first photo in this blog post were never properly glued together when the furnace was installed. I did not see evidence of glue at the joints so I merely touched the pipe and the pipes immediately came apart. This separation could have happened at any time by someone unknowingly bumping the pipe or even from the vibration of the furnace blower motor. Had I not discovered this, at some point in the future the furnace would have blown poisonous carbon monoxide gas directly into the air of the home and my client would likely have been found dead from carbon monoxide poisoning. Be sure to check furnace and water heater vent pipes outdoors where the pipes penetrate through exterior walls. 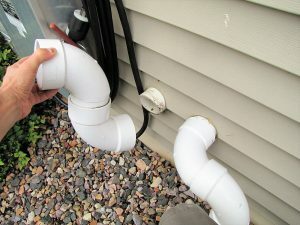 Pipes that are not glued outdoors can damage the interior of a furnace or water heater which can then introduce poisonous carbon monoxide gas indoors. I recommend performing a visual inspection of vent pipe joints for residual adhesive glue. You should see some residual glue that oozed out of the joints during assembly. 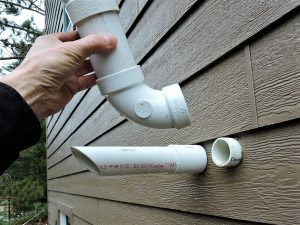 If you do not see evidence of adhesive glue, I recommend holding the vent pipes with your hands and trying to twist or pull them apart at the joints. If the pipes were properly glued, they should not budge. Negative indoor air pressure is a very common problem in homes that can prevent appliance exhaust from venting correctly to the outdoors, and as a result, poison the air indoors with carbon monoxide gas. 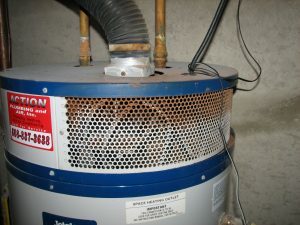 This occurs whenever the interior of a home is depressurized while using bathroom and kitchen exhaust fans, fireplaces, and especially clothes dryers. The phenomenon that prevents carbon monoxide gas from venting to the outdoors is known as back-drafting. 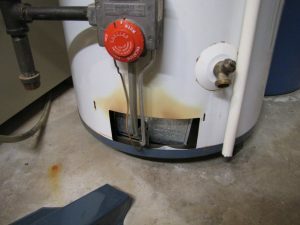 When this occurs there is usually visible evidence of corrosion or debris particles in or on the appliances. Soot discoloration can occur on appliances as an indication that combustion emissions are not exiting the home correctly. 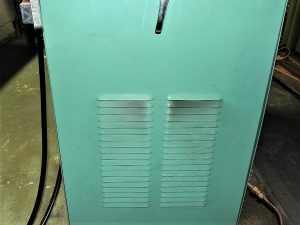 Usually, this occurs at the appliance access doors as shown in the photos. When back-drafting conditions occur on your appliances, you can be sure poisonous carbon monoxide gas is staying inside your home.